It’s been a big year for Industrial IoT — or Industry 4.0 — as both long-term established companies and start-ups have worked to find solutions to problems that have plagued traditional workplaces for many years. Underlying aims have included increased efficiency, improved supply chains, reduced waste and greater safety and speed. Similar efforts are in action in the UK at Ocado, the world’s largest online-only grocery retailer, reaching over 70% of British households and shipping over 200,000 orders per week. 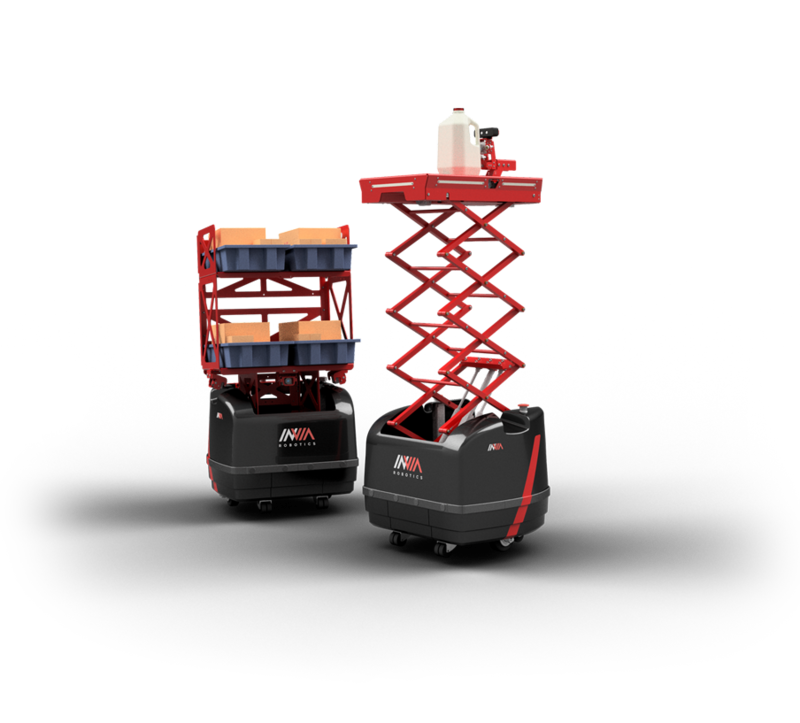 They were one of the first pioneers in the use of robotics and automation alongside its human workforce. This year they’ve partnered with SecondHands and Soma soft manipulation whose work includes efforts to design a robot that can offer help to a maintenance technician in a pro-active manner and robotic grasping respectively. 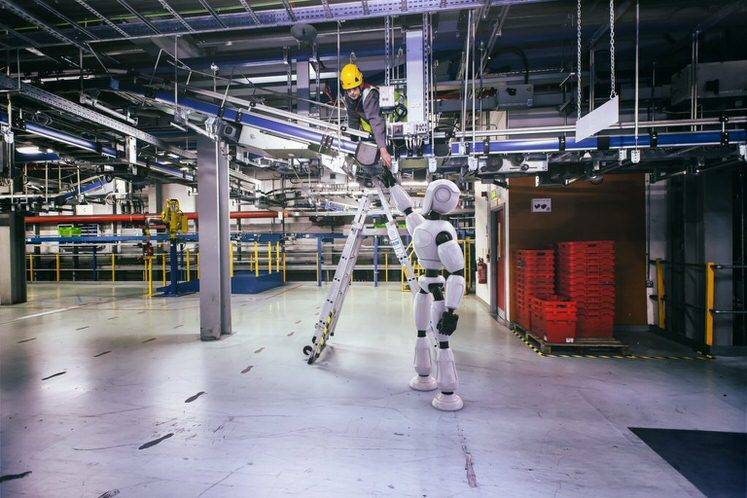 We can expect to see the continuation of robotics across a range of workplaces-Amazon even holds an annual Amazon Robotics Challenge to build the best pick and pack’ robotics. It’ll be a while before robots take our jobs but they may change our roles. 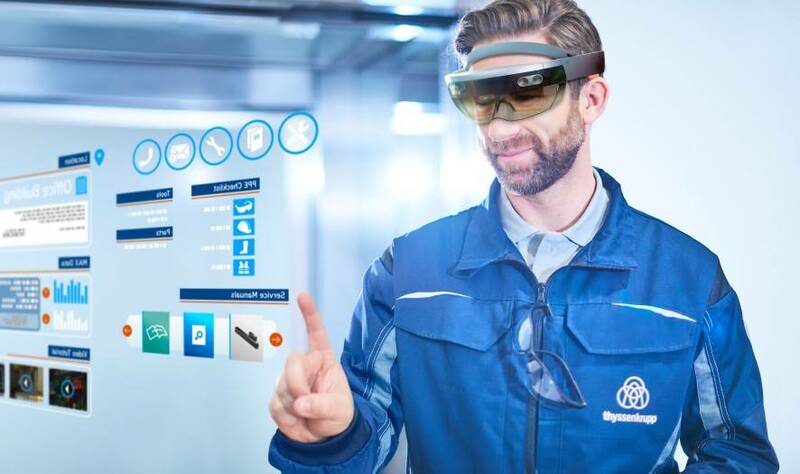 This year ThyssenKrupp launched the use of Microsoft HoloLens technology in its elevator service operations worldwide. Currently, the global elevator service industry is valued at over $44 billion per year, and more than 12 million elevators transport over 1 billion people each day. Microsoft HoloLens is the first fully self-contained wearable holographic computer running Windows 10. It is completely self-contained–no wires, phones, or connection to a PC needed. Microsoft HoloLens allows you to place holograms in your physical environment and provides a new way to see the world. The special mixed reality device empowers more than 24,000 of the company’s service technicians to do their jobs more safely and efficiently, and keep people and cities moving better than ever before. It is completely self-contained–no wires, phones, or connection to a PC needed. Microsoft HoloLens allows you to place holograms in your physical environment and provides a new way to see the world. The special mixed reality device empowers more than 24,000 of the company’s service technicians to do their jobs more safely and efficiently, and keep people and cities moving better than ever before. Using HoloLens, service technicians can visualize and identify problems with elevators ahead of a job, and have remote, hands-free access to technical and expert information when onsite – all resulting in significant savings in time and stress. Initial field trials have already shown that a service maintenance intervention can be done up to four times faster. Israeli company Vayyar this year released industrial and DIY versions of the Walabot, a smart device that turns a smartphone into a powerful 3D-imaging system. 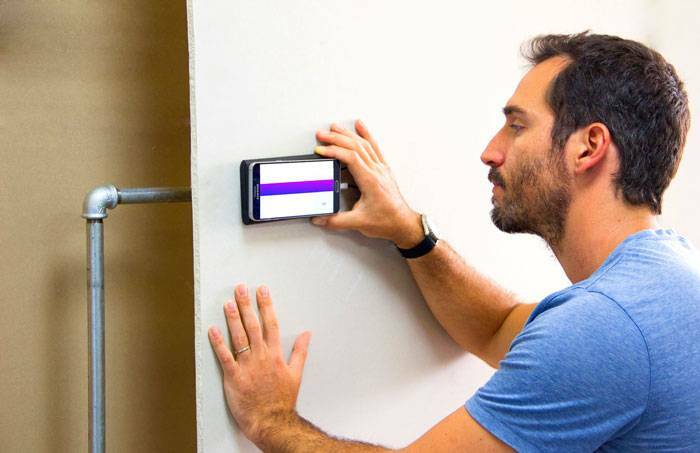 It enables people to look through solid objects like walls to show the pipes hidden beneath on a phone’s screen. Digital tape measuring devices like Bagel eschew the need for pen and paper with infrared as an alternative to a traditional tape for unwieldy corners with a platform recording measurements, voice memos, and data. This year we’ve seen wearables grow increasingly sophisticated in providing real-time data for a range of workplaces. 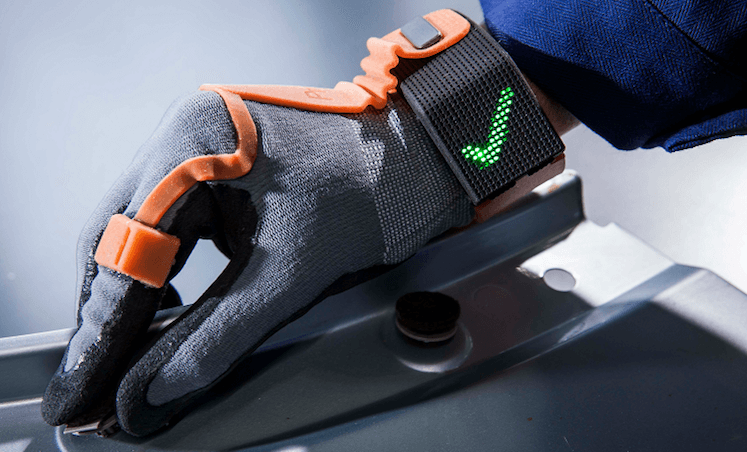 German start-up ProGlove develops sensor enabled smart gloves that enable manufacturing and logistics staff to work faster, safer and easier. Process steps can be documented handsfree and the smart glove gives instant feedback to its user. 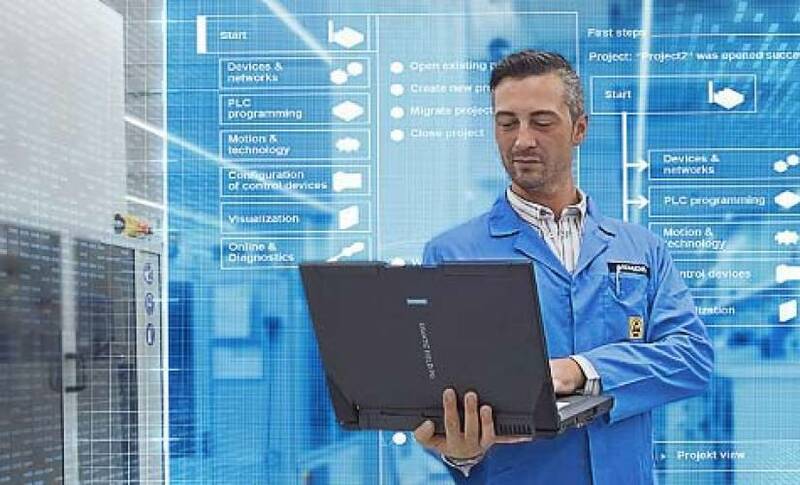 Its current applications include the hands-free scanning of goods, monitoring and training of workflow sequences, identification of tools and parts to avoid incorrect usage, and documentation of goods and processes with users including Audi and BMW. At BMW the hi-tech gloves allow workers to keep hold of items with both hands while scanning more quickly. While this may only save a few seconds each time, BMW reckons it adds up to 4,000 work minutes, or 66 hours, a day. Wearables are also being used in increasingly advanced ways to monitor and ensure worker safety. North Star Bluescope Steel, a steel producer for global building and construction industries for Australia, New Zealand, and North American markets, is working with IBM to develop a cognitive platform that taps into IBM Watson IoT technology for wearable safety technology to help employees stay safer in dangerous environments. By gathering and analyzing sensor data collected from sensors embedded in helmets and wristbands, the technology, IBM Employee Wellness and Safety Solution, provides real-time alerts to employees and their managers, enabling preventive measures if physical well-being is compromised or safety procedures are not being followed. This year IoT technology has also disrupted freight forwarding and the cargo supply chain, sectors of the shipping industry where global supply chains are clouded by lack of visibility, confusing paperwork, complicated regulations, rampant price discrimination, and unpredictable delays. At Flexport freight forwarding, the traditional means of managing a company’s global freight shipments is replaced with a simple online app that allows the customer to request and book shipments, track all global freight movements, manage product data, visual their supply chain, view analytics and more – all in real-time. By comparison, CargoChain is working on applications which connect shipments equipped with a RFID chip via the Blockchain. This enables them to provide real-time visibility of shipments and increased trust between business parties. For example importers and exporters can use the trustless escrow system for conditional payment release, banks and insurance companies acquire additional, unforgeable data and can thus provide their services with confidence, customs can clear shipments faster by knowing the exact, provable chain of custody. As well as the topics discussed, the increased evolution of the smart grid has gained focus in 2016. It will be an integral part of IIoT, as will interoperability, safety monitoring, and distributed technology. We can expect further progression in 2017 as the demand will only increase as we delve deeper into the realities of Industry 4.o.